If you need a quick one stop glamification shop (hair, nails, make up), then remember Blo Blow Dry Bar | Body by Blo! Blo is North America’s Original Blow Dry Bar created in 2007 with hair geniuses like Gwyneth Paltrow and David Babaii behind it. San Diegans are now getting to partake in this glam concept with the newest Blo location opening up in the heart of downtown, the Gaslamp district. It's an ideal location considering most events occur there! I dashed into the signature hot pink and gray Blo Gaslamp a few weeks back to get a blow out for my engagement shoot which was later that day. After picking a traditional style off of their cute hair menu, I felt like THE Gwyneth Paltrow herself with a ginormous courtesy cup of coffee and an awesome hairstylist who gave me a beautiful do. The best part is that their prices are reasonable, one of my favorite words. For example, if you wanted to do make up ($40) + blow out ($40) it would run you $80. 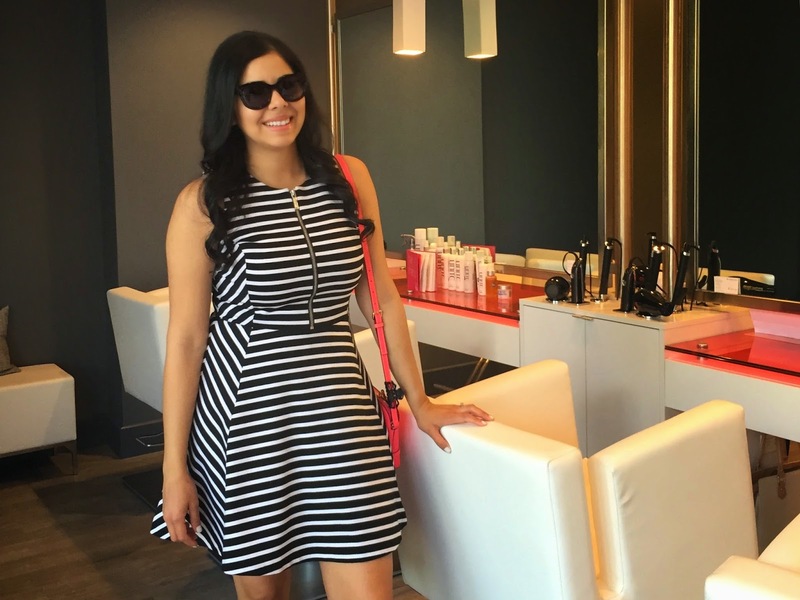 They also have an array of services at their Gaslamp location which is sub divided into dry bar and then the "body by Blo" where they offer mani's, pedi's, even waxing! They also have "blo on the go" which comes to you... think weddings, photo shoots, etc. Basically, they make it convenient for women to get their glam on by having it all be in one location- such a great concept. That's me all smiles with my 'do. My hairstylist made it extra curly so that they would loosen up by photo shoot time! If you're interested in giving yourself or someone you know a day of pampering, stop by Blo! 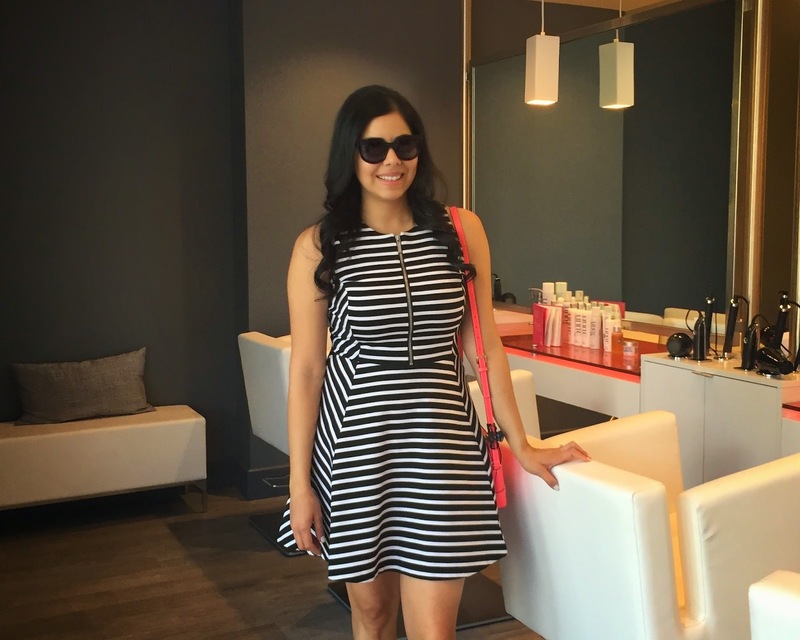 Live Poshmark Party in San Diego!